First off, I just want to thank everyone from the bottom of my heart for all the kind words. Losing Moe is terribly sad for me, and I so thankful that you all out there were sweet enough to offer such nice thoughts. 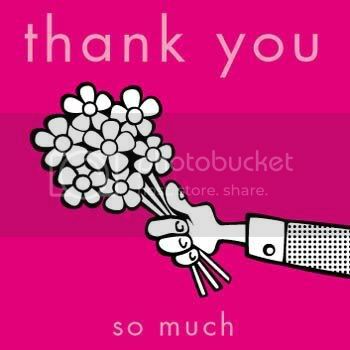 I am consistently amazed at the outpouring of kindness from people I have never "met", but I am so pleased to "know" you all....I thank you very much. Thank you too, new followers, for adding me even though my posts have not been very happy as of late. I appreciate that so much. Hmmm...lighter subject shall we? How crazy is this? I can't imagine being that talented with cosmetics! No, I don't think I would sport the crazy contacts, but her makeup is so pretty! *secretly jealous* --- Anyway, I just kind of sat there in awe watching this. I live in the South, and you don't really....well, ever....see anyone wearing makeup like this, so maybe that's why I like it? I just find it really beautiful. Bath & Body Works just rolled out a coupon for a FREE Signature Collection Body Care Item (up to $12 value) with any $10 purchase! Pair this with their current sale: Buy 3 Signature Collection Body Care Items, Get 2 FREE, and that really makes it a deal! Click here to get your coupon or use code "SUNSHIP" online, which is good until 7/25. Get Free Shipping online with a $40 purchase with code "FREESHIP40". Today and tomorrow only, everything in the Banana Republic Factory Store is 50% off! Talk about some huge savings! Sign up for their email list and save an additional 15%! The Limited is currently offering 40% off any single item. Use the coupon code "368" at checkout to receive this great deal. This offer ends TODAY! Shoes! Take 40% off clearance items at Steve Madden with coupon code "40CLEARANCE". 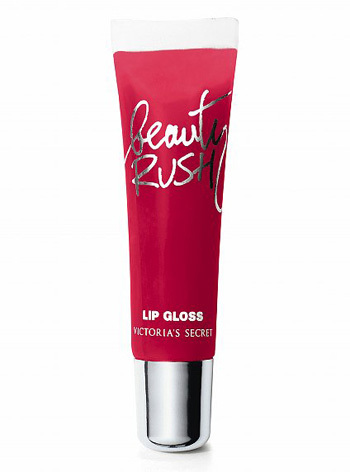 Print this coupon to receive a free Beauty Rush Lip Gloss from Victoria's Secret with any purchase until 7/21. American Eagle has 30% off all clearance items. You can receive an additional 20% off and free shipping by using code "32944527". All gift certificates are 80% off at Restaurant.Com! That means you get a $25 gift card for $2! Use code "FUN" to get this deal! Check out Zombee Candle - New Scents Available! condolences on moe love .... *hugs* glad to see u better. Found you on Welcome Wednesday. New follower!